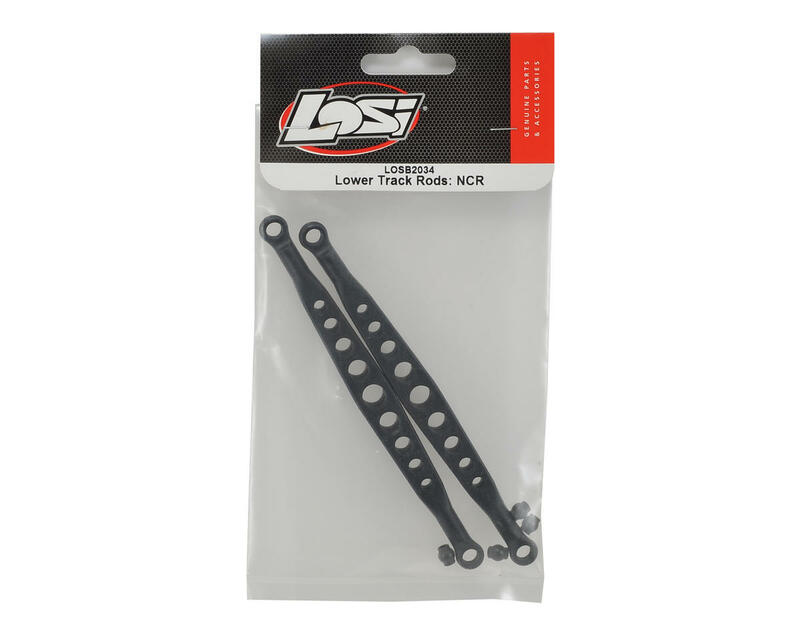 Losi Night Crawler 2.0 Lower Track Rods. These are compatible with the Night Crawler and Night Crawler 2.0 models. 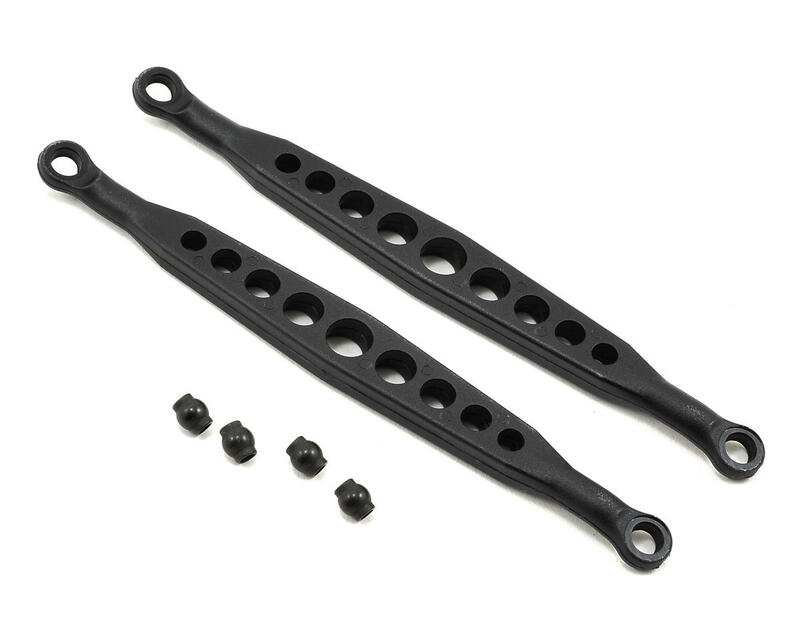 Package includes two lower track rods that can be used in the front or rear position, and four pivot balls.